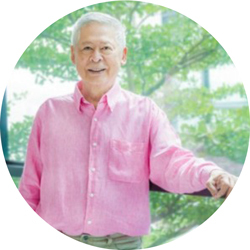 Dr. Witoon has been practicing cosmetic, plastic and reconstructive surgery procedures in Bangkok, Chiang Mai and Phuket for over 30 years. He is a famous Plastic and Reconstructive Surgeon, sometimes referred to as the ‘Godfather’ of plastic surgeons in Thailand. Originally from Chiang Mai in the cooler North of Thailand, Dr. Witoon also teaches Plastic Surgery at Chiang Mai University. Dr. Witoon is committed to achieving optimal aesthetic results. His bedside manner is second to none, and he is attentive and understanding towards each patient’s individual needs. His expertise in Plastic Surgery translates into impeccable results for his patients, and he is one of a very few surgeons skilled in performing endoscopic breast augmentation through the axillary armpit incision – with anatomical Tear Drop implants. He is sought out for his Facial Plastic Surgery expertise including Open Rhinoplasty, as well as all Breast and Body surgery – including the increasingly popular Mummy Makeovers. Dr. Witoon will go above and beyond to reach each client’s expectations. He is available to perform surgery exclusively on CosMediTour patients at PPSI @ Bangkok Hospital China Town, and sometimes at PPSI in Phuket. Due to popularity, Dr. Witoon has limited surgery dates available. ENQUIRE NOW for more info or get a FREE ASSESSMENT to start your surgery journey.